Immediate-past governor of Delta State and All Progressives Congress 2019 Delta South senatorial candidate, Dr. Emmanuel Eweta Uduaghan, has reacted to the protest that occurred on Wednesday during President Muhammadu Buhari 2019 budget presentation at the joint session of the National Assembly in Abuja. 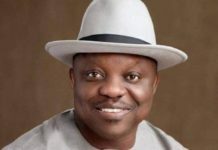 In a post on his confirmed Facebook page on Wednesday, Uduaghan said that though the opposition party was becoming more desperate for power, President Buhari cannot be intimidated as the protest by the opposition only succeeded in making him (Buhari) stronger and more popular. “PMB: Bold, strong, brave, cannot be intimidated. 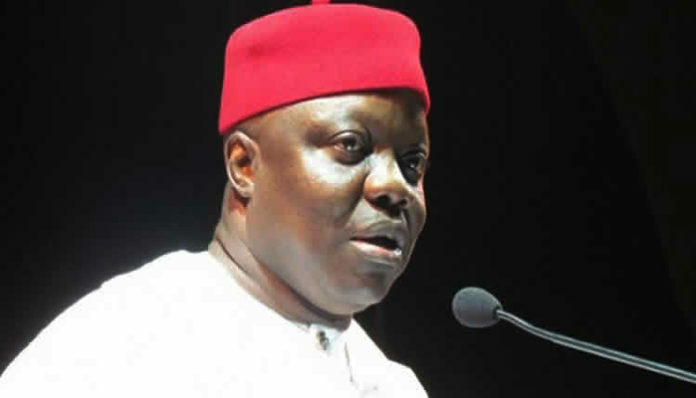 I am happy you faced the hostility threat and came out stronger,” Uduaghan said. 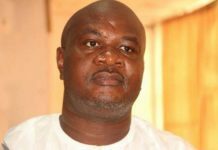 The former governor stressed further that there was a time a sitting president (apparently referring to former President Goodluck Jonathan) had consistently refused to face the National Assembly to avoid embarrassment. He said Jonathan’s refusal to appear for budget presentations during his days was not only out of fear, but a disservice to the nation and its democratic experiment. “A sitting president in Nigeria refused to go and personally present a budget, because of intelligence that he would be booed. He chickened out. Dr. Uduaghan further dismissed the attack on Buhari as normal, stressing that the legislating proceedings in Britain and other parts of the world lent credence to the fact that what transpired at the National Assembly was not unusual. “Legislative houses all over the world are places where prominent heads of states are openly opposed. Some lose their temper and resort to use of foul language. “Watch the British parliament every Wednesday at 12 noon when the British PM appears in parliament. “There is nothing unusual about what happened today. It is not a sign of the president not being popular. “It is about the fact that the opposition is adopting other means of trying to embarrass a sitting president. “It is the sign of a more desperate opposition. And the president stood up to the challenge. Our democracy is deepening,” the Itsekiri-born medical doctor noted.